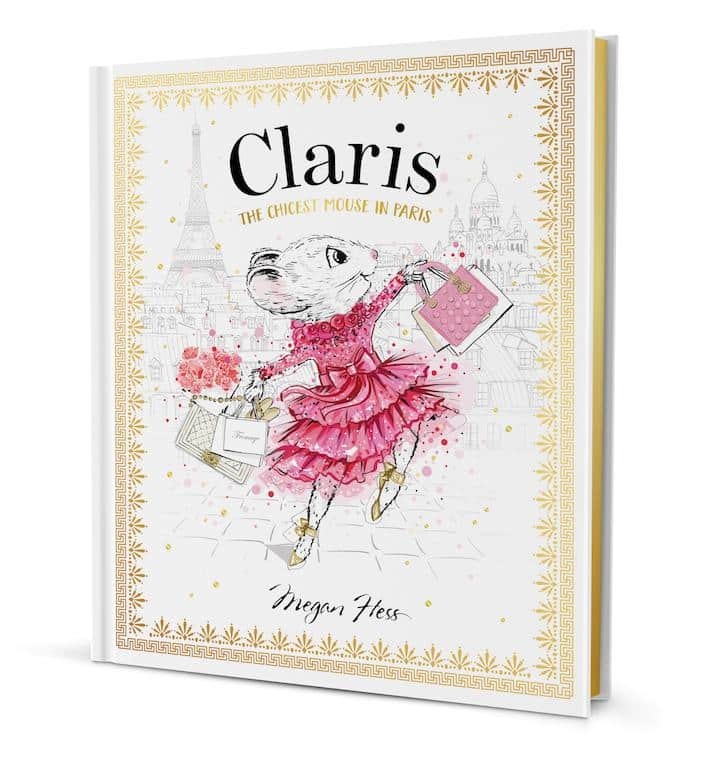 Acclaimed Australian fashion illustrator, Megan Hess, has turned her considerable talent to picture book illustration and the resulting title, ‘Claris: The Chicest Mouse in Paris’ is a delightfully playful and visually sumptuous book which celebrates Parisian elegance and the power of confidence and pluckiness! It is a must-have for fashion conscious babes and their parents and caregivers. 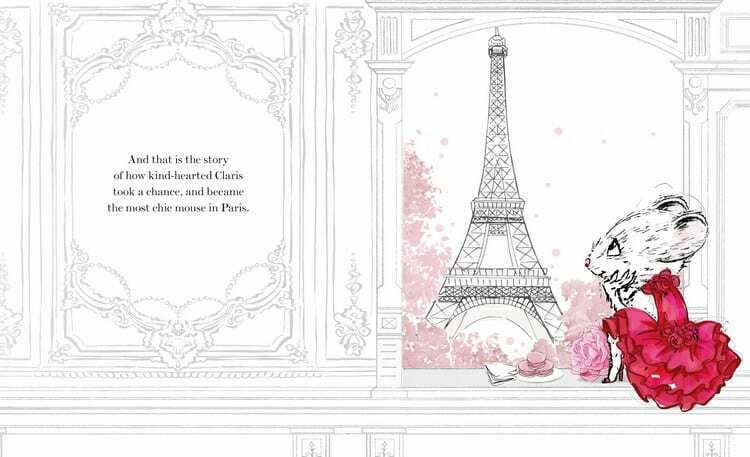 Hess has managed a rhyming text that works well as a read aloud (a rarity) but the heroes here are the illustrations and the entire book design; ‘Claris: The Chicest Mouse in Paris’ really must adorn coffee tables in order that it can be picked up and stroked and then styled with tea cups and little pink cupcakes – I’m imagining there will be many a Claris High Tea event around town! Claris is so very creative, making beautiful designs from recycled materials. Her black frilly dress was made from plastic bags and her earrings from fish bones! Did you notice her suitcase was a matchbox with button wheels (see below)? With recycled materials, design and make mouse sized clothing and accessories. Draw an amazing house for Claris to live in. What wonderful things would she have? How would it be decorated? For younger children/students, draw a template of a house and have children/students design Claris’ house. This could be done as a whole class activity or individually. Provide sparkly paper, glitter and all things *bling* to add flair! Claris says ‘I believe you should always be brave and help someone in need.’ What does she mean by this? Why should we always be brave? Why should we help others? 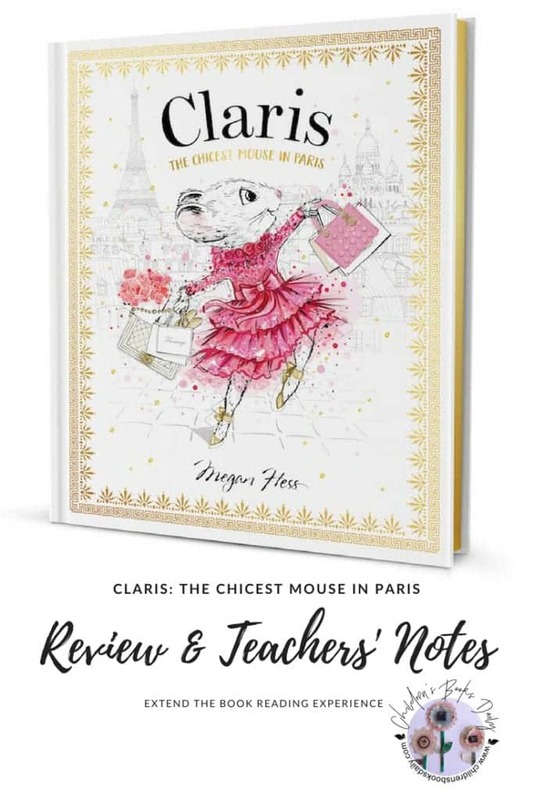 Monsieur was a cat and Claris was a mouse. They are two creatures that don’t usually co-exist. What happened in the story for them to become friends? What are other creatures that don’t co-exist? Cats and dogs? Lions and humans? Give some examples. Write about how they could get along. How could they help each other? We don’t tend to be friends with everybody. Think of someone you don’t usually hang out with/chat to. How could you become friends with them? Discuss and write about this. Design a poster to help others. Vary the complexity of the questioning depending on the age of children/students. Rhyme is all-important in early literacy development and as a means to play with language. ‘Claris’ is a great example of a rhyming text. Go through the text and discover the rhyming words. Can you add more rhyming words to them? 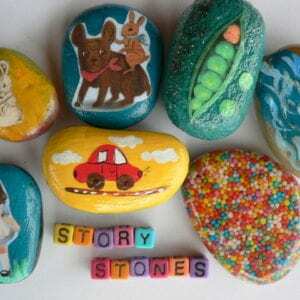 Write your own rhyming story. Now find these words in the book! Design a find-a-word or cross word for a friend to complete. There are plenty of online tools to help you design your own. The story is set in Paris. What country is Paris in? 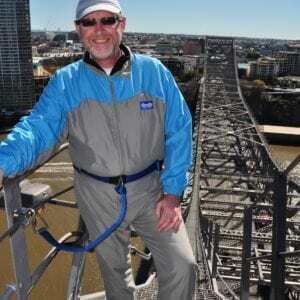 Find out more about these landmarks and designers. When were they established or built? What makes them so famous? 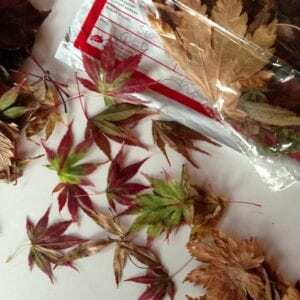 Research some others – what can you find? What do you think they mean? Use the context of the book to help you decipher. Now use an online tool to find out if you were right. What are some other French words you could use for simple English words? ‘Oui’ for ‘yes’ etc. Did you know that the author Megan Hess is famous?! 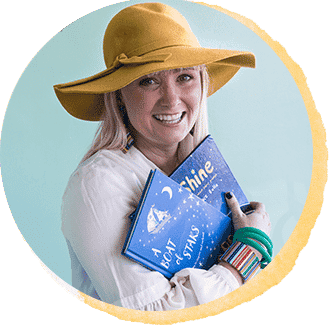 What do you think led Megan Hess to write a children’s book? How does her career help her with writing/illustrating a book? Find out 5 interesting facts about Megan Hess. Megan Hess affectionately calls her pen ‘Monty’. Why do you think she named it that?